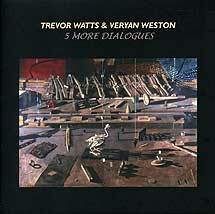 Trevor Watts, soprano and alto saxophones; Veryan Weston, piano. Recorded at Peregrine's Pianos, London on 3 March 2011. Front cover painting (reproduced above) Assembly by Gus Cummins.